Have we lost our way? Lost our psychic �sense of smell�? The conventional notion of the human psyche is that it is a product of our mass culture, and we are conditioned to see and understand only the stimulus that is provided to it. However, there is a deeper process at work, something coming from our innate ability to discern greater truth. Tapping into this subconscious truth-detector is key in determining whether we buy into the premises of the many mainstream �truths� presented to us in popular culture and popular science. 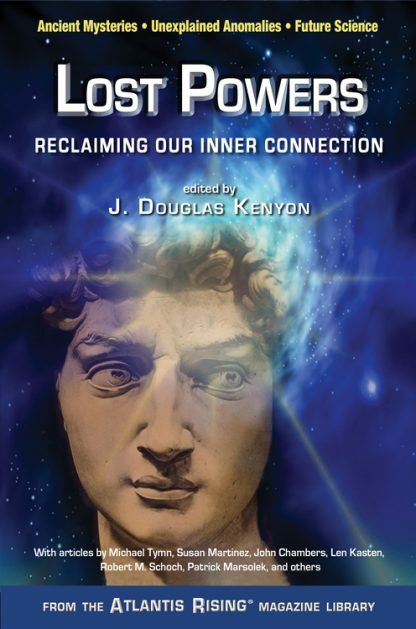 In the quest to reestablish that universal connection, editor J. Douglas Kenyon has culled from the pages of Atlantis Rising� magazine this collection of 34 concise and well-illustrated articles by world-class philosophers and theoreticians who offer thought-provoking insights from the lost secrets of ancient and primordial wisdom. J. Douglas Kenyon is the editor and publisher of Atlantis Rising� magazine. His is also the editor of Forbidden History, Forbidden Science, and Forbidden Religion.